THORPE, ROBERT, judge and politician; b. c. 1764 in Dublin, second son of Robert T. Thorp, a barrister, and Bonna Debrisay; m. with seven children; d. 11 May 1836 in London. 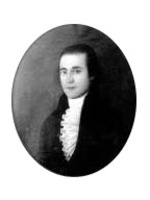 Robert Thorpe graduated with a ba in 1788 and an llb in 1789 from Trinity College, Dublin. Some time previous to 1815 he appears to have been awarded an lld. Admitted to the Irish bar in 1790, he entered the colonial service in 1801 when he was nominated chief justice of Prince Edward Island. This colony was governed by the able, if somewhat venal, Edmund Fanning* who, through geniality, deft duplicity, and judicious inaction, had successfully steered his way between the demands of local factions and unpopular policies of the Colonial Office since 1786. Fanning was in collusion with the Island’s landed proprietors, as Thorpe was not; moreover, the lieutenant governor’s laissez-faire rule was antipathetic to the judge’s rigidity of mind and probably stood as an obstacle to his ambition to make a name for himself in London. Something might be made of the colony, he once thought, “but the government must acquire vigour and respectability, the middle orders more sense and less sufficiency, and the lower classes must be less drunken and Idle before any good can be effected.” Thorpe soon stirred up the attorney general, Peter Magowan*, to launch a number of prosecutions which seem to have been minor but irritating, and perhaps unjustified. Living on a salary in arrears, in a small house with a leaking roof, having a complaining wife and seven sickly children whom he despaired of educating, Thorpe was meanwhile “obliged at different times to quarrel with all orders through finding virtue in none.” He came to loathe the colony. In hope of securing his salary, he sailed to England in 1804, carrying with him an unsolicited plan for uniting Prince Edward Island, Cape Breton, and Newfoundland to impress the colonial secretary. Off the coast of Ireland he was captured by the French and carried into Spain, from whence he contrived to escape. In 1805 he was appointed puisne judge of the Court of King’s Bench in Upper Canada. 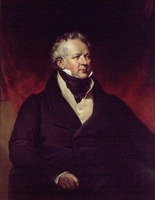 Arriving in York (Toronto) by 1 October, he found the reins of government in the hands of Alexander Grant*, the temporary replacement for Lieutenant Governor Peter Hunter*, who had died that August. Thorpe almost immediately fell in with a fellow Irishman, Executive Councillor Peter Russell*, who had expected to be made lieutenant governor himself, but never even regained the power and influence he had enjoyed before Hunter’s arrival. Thorpe’s opinions about Hunter, whom he never knew, almost certainly derived from the Russell circle, as did his hostility to Grant. 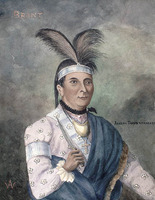 “I expected that the avarice and imbecility of our [Upper Canadian] government would be highly injurious, but it has far surpassed my fears,” Thorpe reported to the Colonial Office, and began to manœuvre to take the interim management of affairs into his own hands. Reasonably enough, he argued for establishing a court of chancery; and, harmlessly enough, he founded agricultural societies and tried to promote the building of roads by means of a lottery. But more important, he attempted to manage a political opposition. of which he had a limited and distorted understanding. 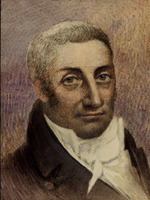 Grant held office until August 1806 when he was succeeded by the new lieutenant governor, Francis Gore*. Political divisions in Upper Canada were essentially local in nature, having emerged within the districts either between justices of the peace representative of opposed sectional interests or, more commonly, between these appointed officials and their disappointed rivals for place who were beginning to oppose them from the hustings. Such divisions were often reinforced by further oppositions between long settled loyalists and newcomers from the American republic who were swamping them. At the ideological level politics were therefore characterized by the noisy opposition of a rhetoric of republicanism and one of loyalty to government established by law, a conflict made the more intense by threat of war with the United States. By 1806 a few spokesmen for the disaffected were being returned to the House of Assembly. But also at the capital were a number of persons who were at once alarmed by the threat of republicanism yet disaffected themselves from the Hunter government by reason of the “maladministration” and “unconstitutional” practices which they tended to assign as the causes of popular unrest. Among them were some Anglo-Irishmen – notably Russell’s friends and Thorpe’s crony the demagogic barrister William Weekes* – who, tending to understand local politics in terms of Irish analogies, became the judge’s friends and advisers. As a practical politician, Thorpe was foolish to a degree; but as a link between English and Irish constitutional concepts of the 17th and 18th centuries and certain notions later associated with the slogans “Responsible Government” and “Home Rule,” he is a figure of some consequence in the history of ideas. His views and actions were incompatible, however, with what was then accepted imperial doctrine; and he was suspended from office by Gore in July 1807. Despite his record as a trouble-maker, in 1808 Thorpe was appointed chief justice and judge of the Vice-Admiralty Court in Sierra Leone. 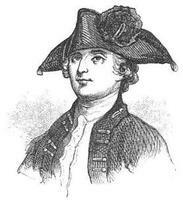 He did not sail from England, however, until 1811 and he returned on leave in 1813. He then became involved in a dispute with the Colonial Office over £630 he was said to have owed to a surrogate who had acted for him in Sierra Leone during his absence. In March 1814 this sum was ordered paid out of his salary. In January 1815 he transmitted to the colonial secretary a number of charges against Charles William Maxwell, one-time governor of Sierra Leone, which also involved the probity of the African Institution, an organization set up by evangelical philanthropists to aid freed slaves. Lord Bathurst, the colonial secretary, was requested either to deal with these charges himself or to lay them before the prince regent in council. At the same time, Thorpe presented a memorial on his own behalf, praying for the return of the £630. Apparently scenting blackmail, Bathurst ordered him dismissed on the ground that, even if his charges were true, he had been derelict in his duty in not having brought them forward at an earlier date. 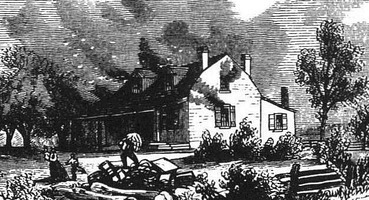 [Of Robert Thorpe’s many pamphlets, just one treats his experience in Prince Edward Island and Upper Canada in any detail. What appears to be the only surviving copy of Appendix to the case of Robert Thorpe, esq., L.L.D., elicited by a letter from Viscount Goderich, to Joseph Hume, esq., M.P. (London, 1828) is in PRO, CO 267/88. A spate of articles related to Thorpe’s pamphleteering appeared in the contemporary periodical press. There are also a number of references to him in G. B., Parl., The parliamentary debates (London), because, from time to time, he gave rise to questions and debate in the House of Commons. The most important source for Thorpe’s career in Upper Canada is “Political state of U.C.,” PAC Report, 1892: 32–135. Other material is found in the W. W. Baldwin papers at the MTRL and the Baldwin papers at AO, MS 88. His sojourns in Prince Edward Island and Sierra Leone are treated in the relevant volumes of PRO, CO 226 and CO 267 respectively. G. H. Patterson, “THORPE, ROBERT,” in Dictionary of Canadian Biography, vol. 7, University of Toronto/Université Laval, 2003–, accessed April 21, 2019, http://www.biographi.ca/en/bio/thorpe_robert_7E.html.